Prominent & Leading Manufacturer from Rajkot, we offer gripping dies and wire nail header punch. We are highly appreciated in the international market for our qualitative assortment of Gripping Die For Wire Nail Making Machine. The range made available by us is extremely essential for the head formation of the nail. Superior grade material is used by our experienced professionals to manufacture these dies. 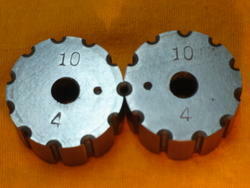 Customers can avail these dies from us in various dimensions and sizes at reasonable rates. 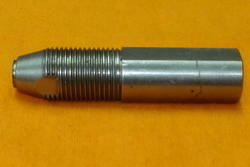 We are Manufacturer and supplier of Wire Nail Header Punch For Wire Nail Making Machines.